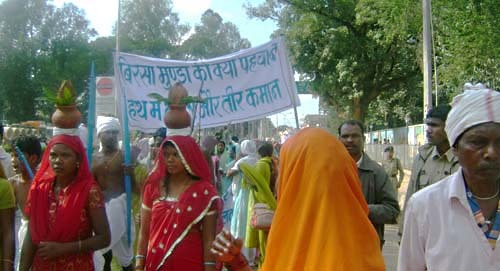 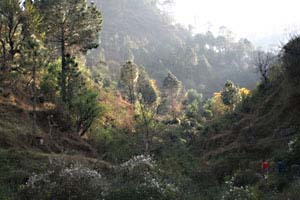 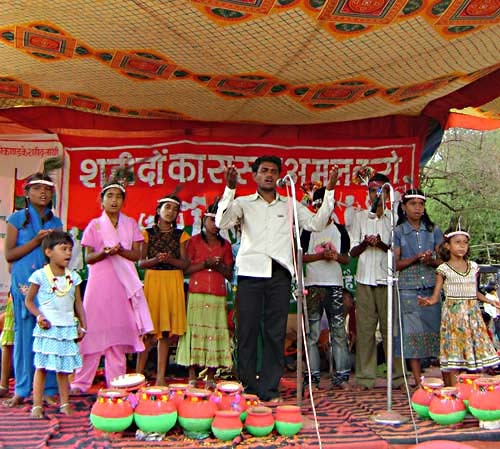 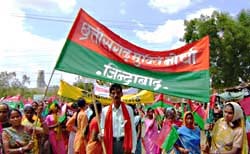 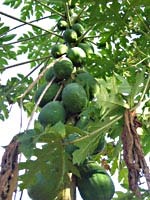 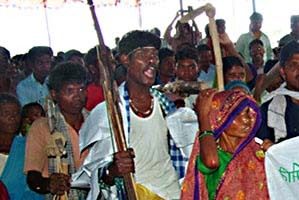 The Adivasis (tribals, original peoples of India) have a long history of fighting for autonomy. June 9 people from all over Chhattisgarh come together to commemorate their tribal leader and hero Birsa Munda who fought against the English and for freedom for the tribals. 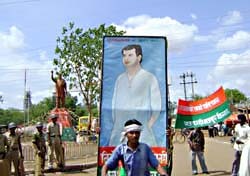 He died at June 9, 1900, at the age of 25. 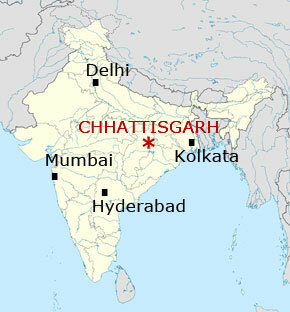 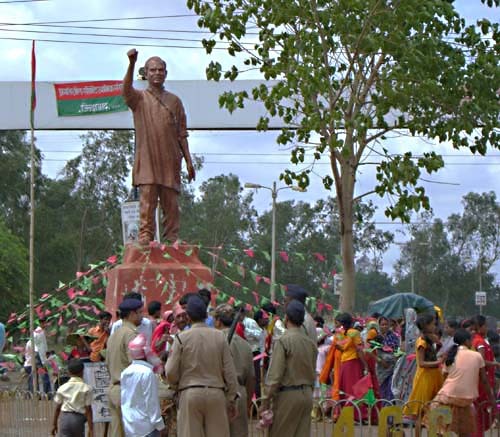 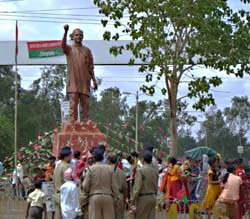 Statue for a leader, fighting for a free Chhattisgarh. 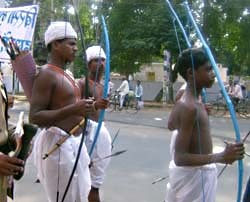 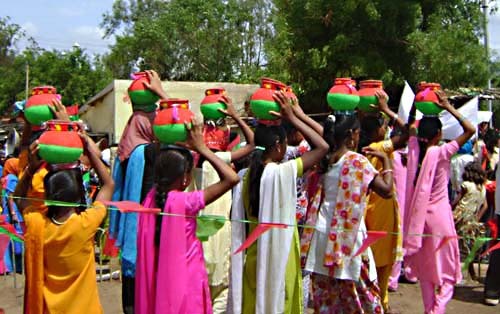 Adivasis prepared to fight for their culture. 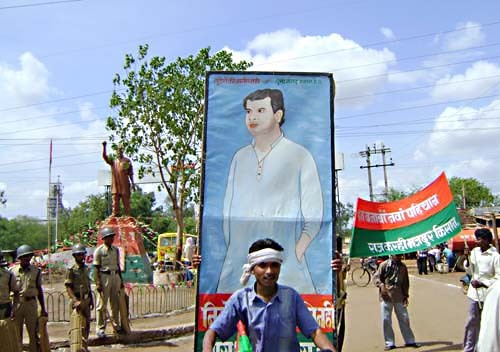 On the banner: 'Chhattisgarh Liberation Front'. Oil lamps for the commemoration ceremony. 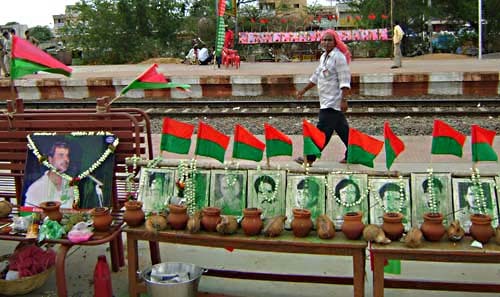 Freedom fighters who died in the struggle for autonomy. 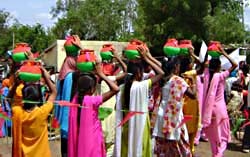 ... and of course a lot of dancing.